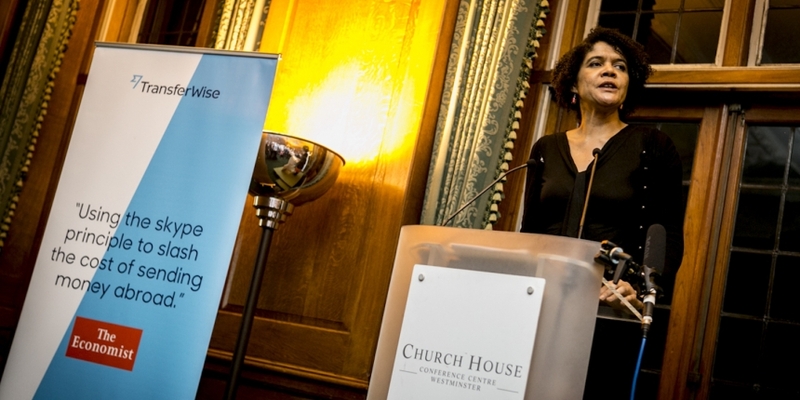 Bitcoin has the potential to reduce consumers’ reliance on giant banks and other entrenched financial institutions, according to Chi Onwurah, the UK’s shadow cabinet minister for digital government. Onwurah is leading a sweeping review of how technology is used by UK public services for the opposition party, Labour. The review includes examining institutions dealing with financial services, she said. As the UK heads toward a general election in May, Labour leads the incumbent Conservative party in opinion polls, which has been the case for much of the last two and a half years. Onwurah is likely to be appointed to the cabinet if Labour forms the new government. A Labour government would not rush into developing regulations around bitcoin and digital currencies in general, Onwurah said. Instead, she advocated a wait-and-see approach to digital currency regulation to ensure innovation isn’t stifled too early in the growth of the sector. “It’s a new and emerging market, I think you would be highly critical if we were to set out now exactly how the market should be regulated. Clearly, existing regulation applies,” she said. Against the backdrop of an economy still reeling from the 2008 financial crisis, the shadow minister framed the rise of digital currencies as an example of how outmoded financial institutions have become. Onwurah lauds the role digital currencies could play in fundamentally changing the way finance works. “You see digital in other value-chains make big differences: in travel, in media. But it hasn’t really changed the model that much, it’s just that the intermediaries have gone. Whereas when you see digital technology getting into currency, that can inspire real change in power relationships,” she said. Bitcoin believers hoping for a light touch from a Labour government next year will likely be disappointed, however. Onwurah emphasised the need for consumer protections, particularly in Internet-enabled financial services. “Those who argue there is no need for government regulation or protection because we’ve got the Internet in the middle of the market do not understand the vulnerabilities of consumers,” she said. Onwurah should know a thing or two about consumer protections. An electrical engineer by training, she spent more than 12 years developing products at telcos Cable and Wireless and Nortel. She then headed telecoms and technology strategy at Ofcom, the UK’s telecoms and broadcasting regulator, for five years. After her time at Ofcom, Onwurah entered politics, getting elected as member of parliament for Newcastle Central in 2010. She was made shadow minister for digital government last November. In the UK, Shadow ministers are opposition politicians who monitor the performance and policies of ministers from the ruling party. They are often appointed to the cabinet if their party wins power, although this is not guaranteed. Onwurah has offered public support for a campaign by Transferwise, the London startup that offers peer-to-peer transfers in the foreign-exchange markets. Nearly 15,000 people have signed the online petition it launched yesterday asking UK regulators to make banks publish money-transfer fees levied on consumers. The UK government has adopted an open posture towards bitcoin so far. The most visible move has come from Chancellor George Osborne, who launched a Treasury study of bitcoin this year in a bid to turn Britain into a “global centre of financial innovation”. The right regulations could make the UK a prime jurisdiction for bitcoin businesses, putting it in a position to scoop up global companies seeking regulatory certainty. Firms based in the US, which accounts for the lion’s share of venture capital invested in the digital currency space, still await clarity from New York’s financial regulator over its ‘BitLicense‘ proposal, which is due next year. Meanwhile, venture capital is pouring into bitcoin startups in Europe, with a 60% jump in funds invested, or $49m, in the third quarter of this year compared to the previous quarter, according to the CoinDesk State of Bitcoin report. Two of the most well funded companies in the field, Coinbase and BitPay, began competing for European merchants and consumers this year. Onwurah is largely in agreement with Osborne’s financial technology push, although she downplayed the centrality of digital currencies in that effort, noting that they were just one of many forms of FinTech. “FinTech is somewhere that we should be leading. There are many different forms of innovation in financial services … we certainly don’t want a market strangled by the very big players we have, so the opportunities for innovation are significant,” she said.